If Oregonians pass Measure 80 in the November election, the state would legalize marijuana for adults, but more importantly to Todd Dalotto, it would open the doors for medical research on the plant. Dalotto, a longtime cannabis horticultural researcher and president of CAN! Research, Education and Consulting in Corvallis, offered his take on Measure 80 to the group on Monday. Sandee Burbank, executive director of Mothers Against Misuse and Abuse, also spoke in favor of the measure at the club’s monthly meeting. If passed, the Oregon Cannabis Tax Act would create a commission that would license growers, buy and sell the product, and test it for quality assurance. Adults, ages 21 and older, would be able to legally purchase cannabis from state-run stores or grow it, unregulated, for personal use. In his presentation, Dalotto explained that each strain of the plant contains different properties. With more research, scientists will be able to isolate the parts of the plant, on a molecular level, that contain positive medicinal values and breed out negative properties, he said. 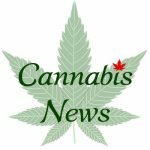 Currently, however, researchers must get the go-ahead from multiple federal agencies before studying marijuana – a nearly impossible undertaking, he said. Attendees questioned how the new legislation would affect black market demand for marijuana. Burbank and Dalotto believe it would be curtailed. “The reason it’s so profitable is because of prohibition, because it’s unregulated,” Dalotto said. The speakers also touched on the benefits of legalizing the cultivation of cannabis to produce hemp, a product with multiple uses that can be made into fabric and rope. It requires less fertilizer and water and produces four times the amount of fiber that trees do, Dalotto said. Hemp production would provide Oregon with an economically friendly export crop, he added. If the legislation should pass, one attendee asked, how would the federal government – which classifies marijuana as a dangerous drug – respond? Revenue from licenses would pay administrative costs of the commission, and 90 percent of the remaining money would be placed in the state’s general fund. The remaining 10 percent would be split among funds for related uses, such as drug education and research grants. The City Club invited the Corvallis Police Department to offer a differing opinion on the measure, but the department declined.